Added normal map for Recorder's head. 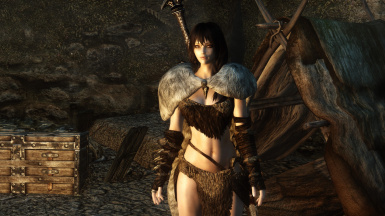 This was originally pointing to the vanilla version of this file, and this could make her face look rough if you haven't replaced it with another mod. File is from SG Female Textures Renewal﻿ by Hello Santa﻿. (Optional) Replaced subsurface maps in order to fix the bronze skin bug. Files are from Fair Skin Complexion﻿ by HHaleyy﻿. (Optional) Used UNP Texture Blender﻿ by Lunrya on body and head textures in order to minimize the neck seam. (Optional) Recorder's face has a few sharp edges and fairly deep eye sockets. 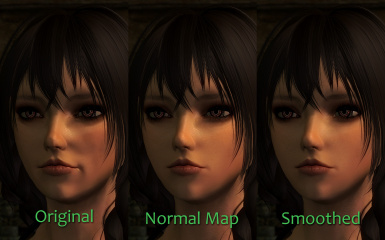 This fix attempts to smooth out her face without changing her face too much. Ran all meshes through SSE NIF Optimizer﻿ by ousnius﻿. 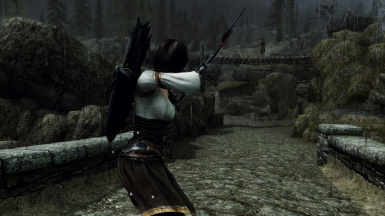 Applied SSEEdit Script - Fix Oldrim Mods Waterflow﻿ by unblest﻿ on the original Recorder mod and merged the changes into this one in order to fix a water seam issue. This fix only applies to SSE. Thanks to Shiva182﻿ for suggestions on improvements. Check out Recorder Bodyslides SE﻿ by Shiva182﻿. 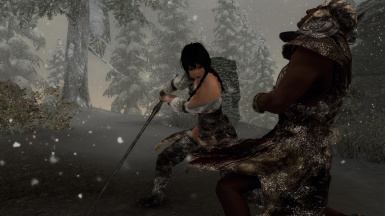 Thanks to Teabag86﻿ for creating and sending me the compatibility patch for JK's Skyrim﻿.